This year's family story sessions have been so fun (picnics & story times & tickle fights galore! 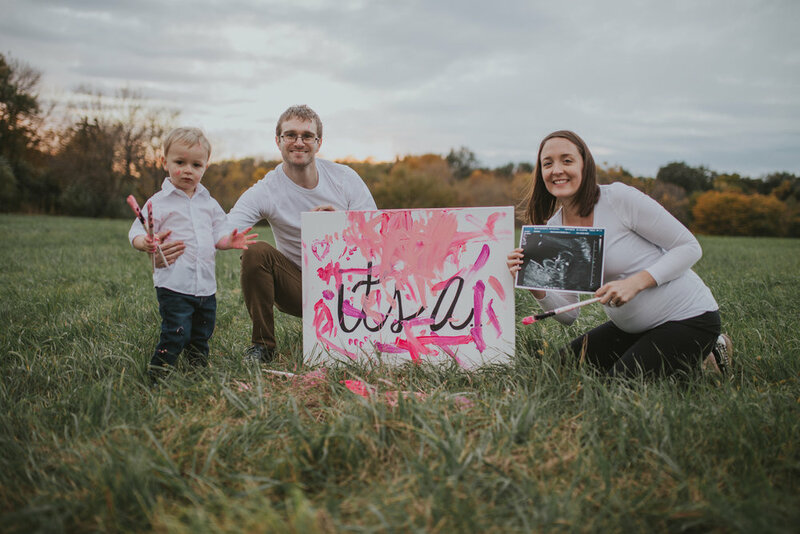 ), but last week's was different than most - last week, Kiel and Nichole wanted to introduce the gender of Baby No. 2 to the world! 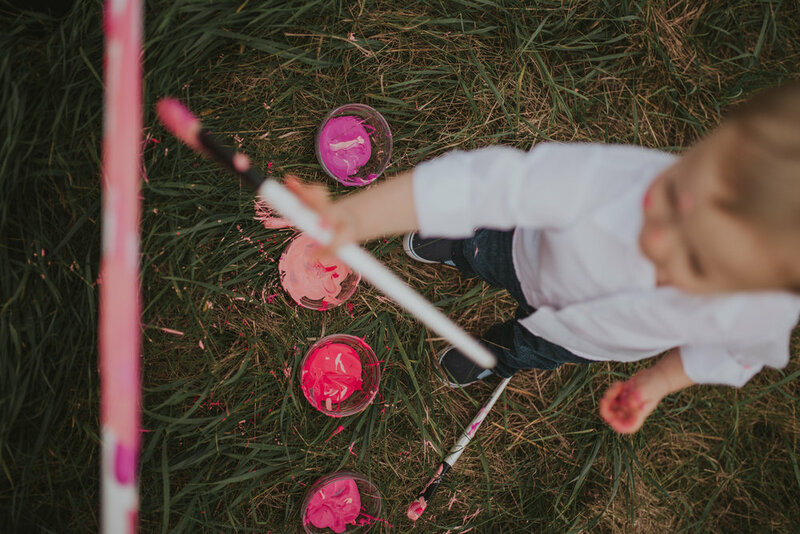 We outfitted Big Brother Karsten in a cuffed white button down armed with brushes, a canvas, & pots of paint and let him go wild. !!! So creative and exhilarating.